This article looks at the way the warming ocean exerts a growing pressure on food security and the economy. It is a follow-up to “The U.S. Navy vs Climate Change Insecurity” (Jean-Michel Valantin, June 15, 2018), where we focused on the current climate and ocean change becoming a major strategic threat, because of the rapid rise of the ocean level. However, as we shall detail here, the ocean change threat has also other dimensions. As a matter of fact, the quickly heightening levels of atmospheric greenhouse gases, among them CO2, which have triggered climate change, are also acidifying the seawater (“Climate change indicators: Ocean Acidity“, U.S Environmental Protection Agency, 2016). This process combines with the chemical and biological impacts of land industrial and agricultural pollution, which endanger the fisheries, essential components of the food resources of entire maritime facades. 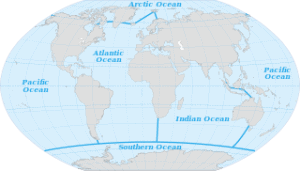 These changes have direct geopolitical consequences, because they impact the most basic geophysical equilibrium upon which human societies and international relations are built( Lincoln Paine, The Sea and Civilization, a Maritime History of the World, 2013). This threat can only be understood through the scale of the current planetary change. The massive strategic problem linked to this new era is that the planetary present and future are now dominated by complex dynamics of global change, signals of the new and current geological epoch named the “Anthropocene”, i.e the geological epoch defined by the consequences of human development, which creates its own stratigraphic signal (Jean-Michel Valantin, “The Planetary Crisis Rules, Part.1 and Part. 2”, The Red (Team) Analysis Society, January 25, 2016 and February 15, 2016). In this regard, the planetary crisis has become a major generator of friction, i.e., according to Clausewitz, a system of pressure and constraint. This “planetary friction” exerts itself upon every kind of activity related to the ocean. These global changes must be understood for what they are, i.e. a strange bonding between the current state of societies and globalization with an emerging new state of permanent change of the planetary environment. In other words, the ocean upon which our globalized world depends is becoming a strategic threat matrix. First, we shall look at how ocean change has started threatening food resources in the Western Indian Ocean. In a second part, we shall focus upon the economic dimension of the ocean, through the consequences of the intensification of extreme weather and ocean related events. Then, we shall wonder about the strategic consequences of the dangerous evolution of the relationship between human development and the world ocean. 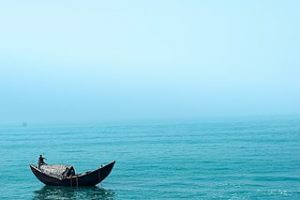 The rise of the ocean level, the heightening rhythm and intensity of ocean related climate weather events, the acidification of seawater, and the reactions to agricultural and industrial land pollution are composing a planetary nexus. This nexus threatens both the extraction of food resources and the social, economic and political stability of the littorals. The nature of the threat of this process is particularly alarming considering the gigantic scale of some of these crises. As we saw in The Planetary Crisis Rules (2) (The Red (Team) Analysis, February 15, 2016), a mammoth crisis may well be currently unfolding in the western Indian Ocean rim. A study shows that an alarming loss of more than 30% of the phytoplankton in the western Indian Ocean took place over the last 16 years (Koll Roxy and al., “A reduction in marine primary productivity driven by rapid warming over the tropical Indian Ocean”, AGU Publications, 19 January 2016). This loss is most certainly due to the accelerated warming of the surface water, where the phytoplankton lives. This warming is blocking the mixing of the surface water with deeper and cooler subsurface waters, where the nutrients of the plankton – nitrates, phosphates and silicates – come from and remain blocked (K. S. Rajgopal, “Western Indian Ocean phytoplankton hit by warming”, The Hindu, 29 December 2015). The problem is that plankton is the foundation for the whole ocean feed chain (Callum Roberts, The Ocean of life, the fate of Man and the Sea, 2012). For example, the researchers unveiled that there is a massive decline in the shoals of fish near the Kenyan and Somali coast. These declines are not solely the result of overfishing, but also the consequences of the combination of this practice with the loss of plankton (David Michel and Russel Sticklor, “Plenty of fish in the sea? 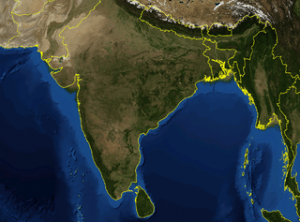 Food security in the Indian Ocean”, The Diplomat, 24 August 2012). This trend is very likely to prolong itself in the foreseeable future, because of the ocean warming due to climate change, and is going to alter the whole Indian Ocean, with the risk of turning this biologically rich ocean into an “ecological desert” (Amantha Perera, “Warmer Indian Ocean could be “ecological desert” scientists warn”, Reuters, 19 January 2016). This means that the decline of marine life due to anthropogenic climate change is a direct threat to the food security of the whole Western Indian Ocean ecosystem, thus to the lives of the populations of eastern African societies – i.e South Africa, Mozambique, Tanzania, Kenya, Somalia, Ethiopia, as well as archipelagos, such as Comoros, Maldives, Seychelles, Madagascar, Mauritius, Mayotte – and to their economies (Johan Groeneveld, “The Western Indian Ocean as a source of food”, in The Regional State of the Coast Report: Western Indian Ocean, Chapter: Chapter 20, Publisher: UNEP-Nairobi Convention and WIOMSA, 1 May 2015). This is most likely to happen despite the rapid development of fish farming, which induces its own cascade of issues (Michel and Sticklor, ibid). The plankton and sea food crisis is particularly worrisome given the profound economic and social inequalities known by the region, and the political, confessional and military tensions that arise, for example in Kenya and Somalia (Jean-Michel Valantin, “Somali Piracy: a model for tomorrow’s life in the Anthropocene?”, The Red Team Analysis Society, 28 October, 2013 ). This means that, nowadays, a giant biodiversity and geophysical crisis is unfolding on such a scale that it concerns numerous countries and dozens of millions of people at the same time. Moreover it combines itself with political and strategic current crises. Since the discovery of this giant dead zone, and as was foreseen in The Planetary Crisis Rules (2), the chemical and biological situation of the Indian Ocean has continued to deteriorate, because of the multiplication of two other giant dead zones in the Indian Ocean (Harry Pettit, ‘The ocean is suffocating’: Fish-killing dead zone is found growing in the Arabian Sea – and it is already bigger than SCOTLAND”, Mail on Line, 27 April 2017. One has been identified in the Gulf of Oman and threatens marine life and fisheries in this part of the Arabian Sea. Another giant one, that spans at last 60 000 square km has been discovered in the Bay of Bengal, and threatens the food resources of the 200 million people installed on the littoral of the eight countries that surround the Bay (Amitav Gosh and Aaron Savion Lobo, “Bay of Bengal: depleted fish stocks and huge dead zone signal tipping point”, The Guardian, 31 January 2017) . In other terms, climate and ocean change is directly threatening the food security of hundred of millions of people in Africa, in the Arabian Sea area and in South Asia. As a matter of fact, it must be remembered that the rise of Somali piracy at the start of this century has been largely triggered by the depletion of the Somali fisheries and that turning fishermen into pirates has proven it was an efficient way for littoral endangered communities to adapt to their dangerous new socio-environmental conditions of life (and death) (Andrew Palmer, The New Pirates: Modern Global Piracy from Somalia to the South China Sea, 2014). Another dimension of the ocean change threat is the way it literally puts under “economic siege” the littorals. As a matter of fact, the littorals are at once the most attractive space because of their economic development and the interface between countries separated by the ocean. Those regions are heavily impacted by the rise of the ocean and by the rising power and violence of climate-related extreme weather events. For example, let us look at the U.S. and the mammoth disasters wrought by hurricane Harvey in Texas between the 25 August and 2 September 2017. 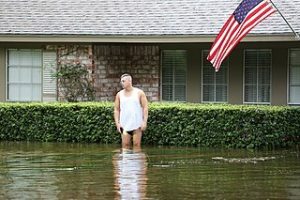 “Harvey” killed 68 people and wrought immense damages, which costs amount to 125 billion dollars, making it the costliest hurricane after “Katrina” that destroyed New Orleans in 2005 and did cost 161 billion dollars (“Fast facts Hurricane Costs”, The Office for Coastal management-National Ocean and Atmospheric Agency and Insurance Information Institute, 2018). These damages alone put a massive pressure on economic activities and on the insurance sector, because of the direct destructions wrought to the infrastructures, cities, homes, fields and industries. 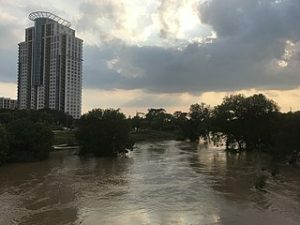 To these costs have to be added those of repairs, of business interruption, and of detoxification made necessary because of the massive industrial chemicals and sewage spillage (Erin Brodwin and Jake Canter, “A chemical plant exploded twice after getting flooded by Harvey – but it’s not over yet”, Business Insider, 30 August, 2017). 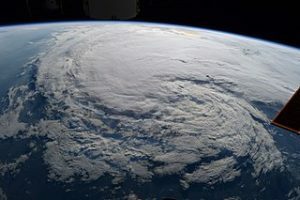 These human and economic costs are multiplied to consider those incurred by Houston and the whole state of Texas, as well as by Louisiana during the same week. It must also be remembered that a lot of oil extraction and transaction operations were suspended, and thus impact the companies involved in these activities (Matt Egan and Chris Isidore, “Tropical storm Harvey threatens vital Texas energy hub”, CNN Money, August 26, 2017). 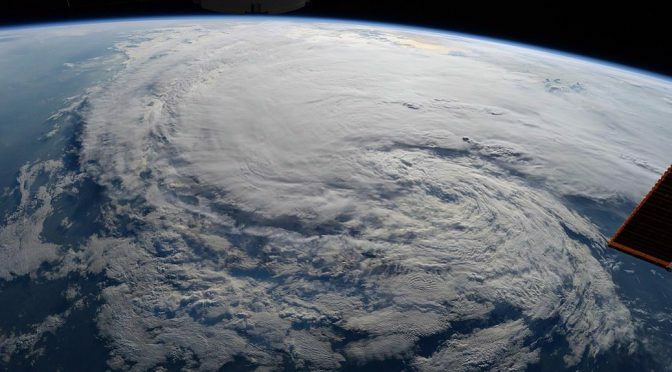 If we take a look at just the littoral counties of Harris and Galveston in Texas, for example, we see that “Hurricane Harvey has damaged at least 23 billion dollars of property…” (Reuters, Fortune, 30 August 2017). 26% of this sum is land value, the remaining part is being constituted by dozens of thousands of houses, buildings and infrastructures. Some of those were insured but a lot more were not, which means that, potentially, millions of people found themselves brutally projected in very precarious situations. (“Tallying Massive Costs of Harvey to Victims, Insurers, Taxpayers and Economy“, Insurance Journal, 31 August, 2017). To these tremendous costs were added those resulting from the heavy damages wrought by the giant Hurricane Irma in Florida and the Keys to infrastructures, cities, business and agriculture, especially to the orange production (Berkeley Lovelace Jr, “Irma could be “the last straw” for the Florida orange industry, commodities expert says”, CNBC, 8 September 2017). (Rob While, “The estimated costs of hurricanes Irma and Harvey are already higher than Katrina”, Money, September 11, 2017). All in all, the 2017 hurricane season did cost more than a staggering USD 220 billion in economic damages. Out of these, 80 billion were supported by the re-insurance industry (Matt Sheehan, “Hurricanes Harvey, Irma, and Maria cost re/insurers $80bn: Impact Forecasting », Reinsurance News, 5 April 2018). In other terms, the ocean-related extreme weather events of the end of the summer 2017 were a massive economic, social, infrastructural and human blow to the US. 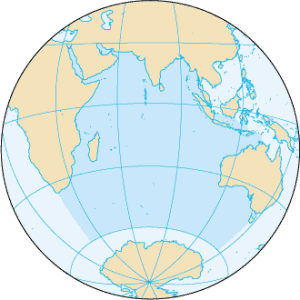 The Western Indian Ocean case and the Harvey and Irma cases are a few examples among many of the emerging reality defined by the installation of contemporary societies on the “Defiant Earth” of the Anthropocene Era (Clive Hamilton, Defiant Earth, The fate of the Humans in the Anthropocene, 2017). Ocean change is defined by the way its thermal, chemical, biological and volumetric parameters are changing and are becoming hostile to current forms of infrastructural, economic, social and human development. In other words, all the countries in the world, not only those that are directly linked to the ocean, but also those in the hinterlands of neighbouring countries with a mesa facade, are literally bonding with the growing climate-ocean rising chaos. In strategic terms, this means that the ocean is becoming a potential planetary factor and driver of violence. It deprives immense populations of a large quantity of food through its own complex biological collapse. It repeatedly and endlessly directly impacts infrastructures. It is thus a social threat for littoral communities and all the stakes vested in them. We are faced with issues ranging from the sustainability of the littoral development, to the very survival of entire populations. Studying the current development of dead zones in the Indian Ocean and their consequences on food security, as well as the infrastructural and financial costs of hurricanes such as Harvey opens up a window on a short and middle term future when the forces of the climate ocean change will besiege and endanger the different forms of human development as well as social, economic and political cohesion. In other words, the violence stemming from ocean change demands new ways to control violence on a changing planet bonding with chaos. This phenomenon emerges while the relation between artificial intelligence and security is starting to be explored (Jean-Michel Valantin, “The Chinese Artificial Intelligence Revolution”, The Red Team Analysis Society and Hélène Lavoix, “Artificial Intelligence, Computing power and Geopolitics” (2), The Red Team Analysis Society, November 13, 2017 and June 25, 2018, or more generally our ongoing series on Artificial Intelligence: The Future Artificial Intelligence – Powered World). In other terms, will artificial intelligence be a means to inject some measure of control in the emerging planetary chaos? Featured image: ISS-52 Hurricane Harvey by NASA/Randy Bresnik [Public domain], via Wikimedia Commons.